Efcon® Flowmeters are used to measure water flows as accurate as possible. 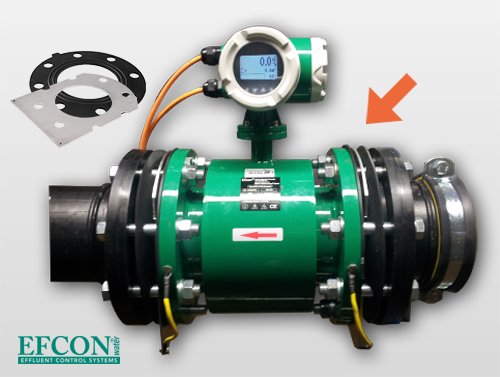 Our Efcon® Electro Magnetic Flowmeter (EMF) has minimum fouling PTFE-lining, empty pipe detection, a display with actual & total flow and a pulse & analog output. Because of the high accuracy, EMF-meters are commonly used for effluent discharge purposes of water & sewage. Select correct EMF ‘Diameter’ with appropriate flow velocity! Dowload the Efcon® Electro Magnetic Flowmeter Datasheet to get an overview of all dimensions we deliver (page 2). Avoid flow velocities above 5 m/sec due to air inclusion risk at high flow rates. Our Efcon® Electro Magnetic Flowmeter is made in China, just like many other hightech parts (such as phones and many well known electronics). Standardizing stock and batch purchase Efcon® focuses on offering superior price/quality products. Dowload the Efcon® Electro Magnetic Flowmeter Datasheet (PDF) to discuss it with your colleagues via e-mail or a printed version. 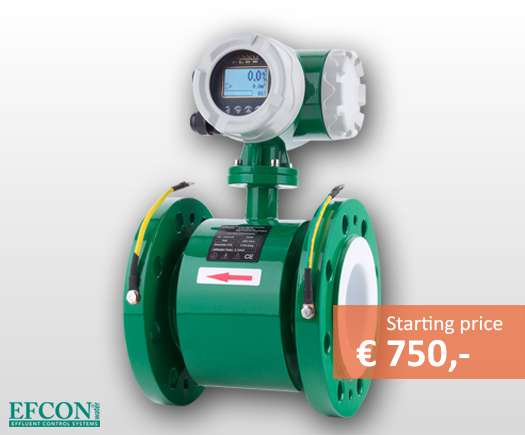 A standard Efcon® Electro Magnetic Flowmeter starts at € 750,-. Obviously there is a range of options possible. Don’t gamble, use a proper full body grounding (SS316) and gasket set (EPDM) for plastic piping. At this moment Efcon® Water has multiple specialised resellers in Europe. For interest to become a member of the Efcon® family, please contact us. Dowload the Efcon® Electro Magnetic Flowmeter Datasheet (page 2) to get an overview of all dimensions we deliver. Discover the possibilities of our various flowmeter applications. Efcon® offers an open channel bubble tube or ultrasonic level only flowmeter integrated in a sampler but also permanent or temporary build in IP68 Magmeters with easy mounting system. Check the Special Flowmeter Applications page for more information. 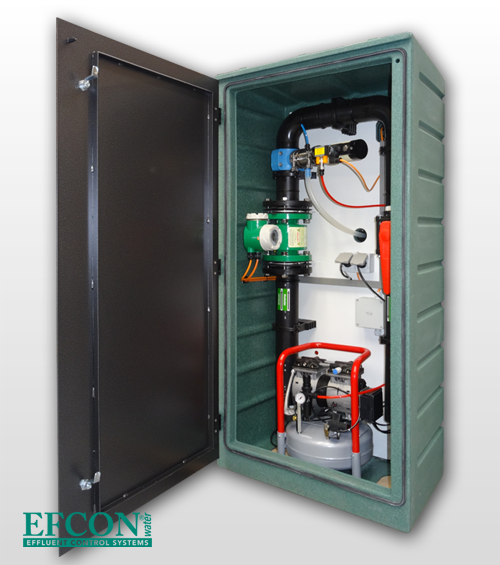 An Efcon® wastewater sampler can be supplemented with special electronics or hardware cabinets and equipment such as a built-in electro magnetic flowmeter, compressors, analytical instruments and more. 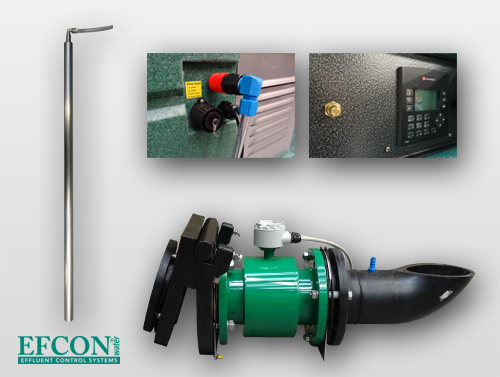 Efcon® can supply complete turn key Effluent measuring and control stations.